So I got an Apple Watch. I was originally pretty sure I could do without one and was waiting for the next version to be introduced before buying, but a coworker was selling his like-new watch for cheap, so I decided to give it a try. I went into this with my eyes wide open after scathing reviews like Matt Haughey’s, but gladly the watch has been far better than I expected. (The watchOS v2 upgrade may have improved things since that review.) I have the aluminum “Sport” model, the cheapest one with a simple silicone wristband, but even the base model is an impressive device. 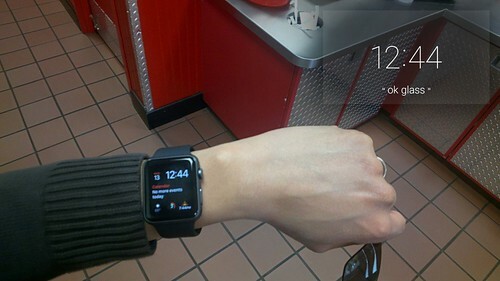 The Apple Watch excels as a quick-glance display for mobile notifications, a casual fitness tracker, and of course as a time keeper. Mostly it functions as a dummy terminal for information from the phone, so the phone does the actual heavy data lifting before sending it over bluetooth to the watch. 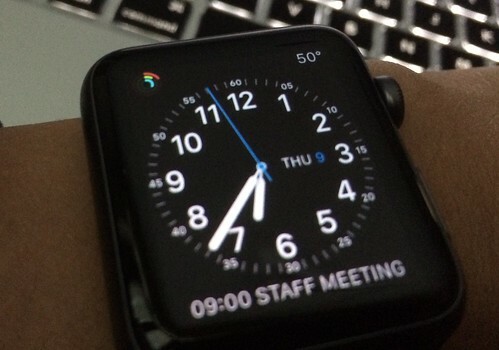 (Recent upgrades may change that, however, with watchOS v2 working more independently of the phone.) You can’t browse the web or watch a movie on it, but you can check your calendar and see a weather forecast, or say “Hey Siri” to have it start a timer or add a reminder. The result is that I find myself grabbing my phone much less frequently since I can get the info by glancing at my watch. It’s also given me more situational awareness at work as I’m far less likely to miss emails and meetings. 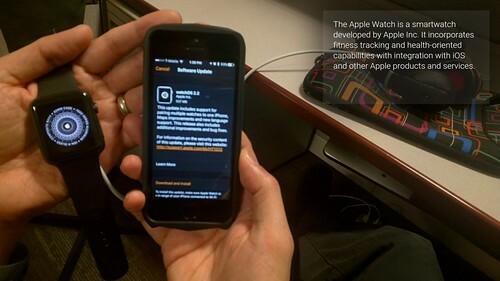 The 3-circle fitness tracker works as an interesting visual motivator to spur the user to activity. I’ve even installed the ESV Bible app, which lets me read the entire ESV bible on my wrist (though most of the text comes from the phone app via bluetooth). One feature I haven’t used much is the heartbeat-sender because really, no one wants to feel my heart beat — but seeing my own pulse has been occasionally useful. The watch is still rather slow to load some screens, to a point that seems unreasonable even accounting for bluetooth and processor lag, so the annoyance factor can ramp up on certain apps. I was mostly expecting the Apple Watch to be a novelty purchase with some rough edges but it’s actually proven to be a fairly useful and life-improving wrist computer. Hopefully v2 is much faster.